I’ve been fighting a cold all week, and it’s been quite frustrating. I can’t remember ever having a cold so tenacious. Each day I have thought that maybe I had overcome its severity, only for it to return in the morning with a newly acquired vengeance. I have that heavy tightness in my chest that saps my energy, and in the late afternoon, a low grade fever that puts me to sleep. Perhaps I am just about finished with it today as I write this. At least, I hope so. I suppose my particular difficulty in fighting this chest cold is because my body does not so easily recognize these Honduran bacterial microbes. My body is challenged in its self-curative abilities by the unfamiliarity. As I think about that, I see it as something of an analogy for the work Laura and I do here. Before we can at all be effective, we have to learn so many things about our new environment. The language is new, as is the culture, as is the climate, and just about everything we encounter. It can be very frustrating. Many of the tools we would most readily employ in the States to deal with the social circumstances we encounter here are entirely ineffective. Just as my body must take the time to accustom itself to new bacterial eco-systems, so Laura and I must invest ourselves in the patience of learning our environment. Come to think of it, the children at Montaña de Luz have faced, and continue to face, many of the same challenges associated with encounters of the foreign and unfamiliar. First, their bodies, they themselves, are challenged to manage an extremely insidious disease. The virus HIV replicates the antibodies of the auto-immune system. I can’t think of anything more foreign to our humanity than a disease that seeks to destroy us by such maniacal deception. We have no cure for this. We have failed in all our attempts to assist the body in recognizing this foreign element. Thus, our children who have been destined to live with this virus will forever be vulnerable to its dedicated purpose to destroy our bodies’ defenses against disease. The best that our science has managed is to introduce yet another foreign element into their bodies. Anti-retroviral medications do not, and cannot, directly overcome the presence of the virus. Instead, they inhibit the ability of the virus to replicate and replace antibodies. In a sense, they deceive the deceiver. Don’t misunderstand me. Without the ARV medications, our children would contract debilitating diseases that would eventually kill them. Thank God for ARVs. Yet it is one more element of the foreign and the unfamiliar that our children are asked to endure and reconcile. There are secondary effects of ARVs. Some of these are obvious and known: headaches, nausea, sleep disturbances, etc. But some are more likely unknown, not so obvious, and long lasting. As we look at our children at Montaña de Luz, we tremble at how toxic and debilitating some of these might be. As Laura and I find ourselves challenged to manage a new language, a new culture, and a new climate, as our bodies struggle to identify and engage new microbial ecosystems, the children we are coming to know and love have battled the foreign all their lives. And yet, it is still more. The most favorable and familiar condition for life and growth is love. I personally have faced incredible challenges in my life. I have been fortunate to recognize foreign, insidious and deceiving elements within me that would rob me of myself if left unchecked. But I have confronted them, stripped them of their presumed powers over me, and thrived. There is only one means, and one means alone, for doing this. Love. It is because I love and am loved; love in family, love with my wife, love of and from God, and love of self. Without love, the challenges I have faced would have destroyed me. With love, the challenges I have faced have transformed me into becoming the best of who I can be. 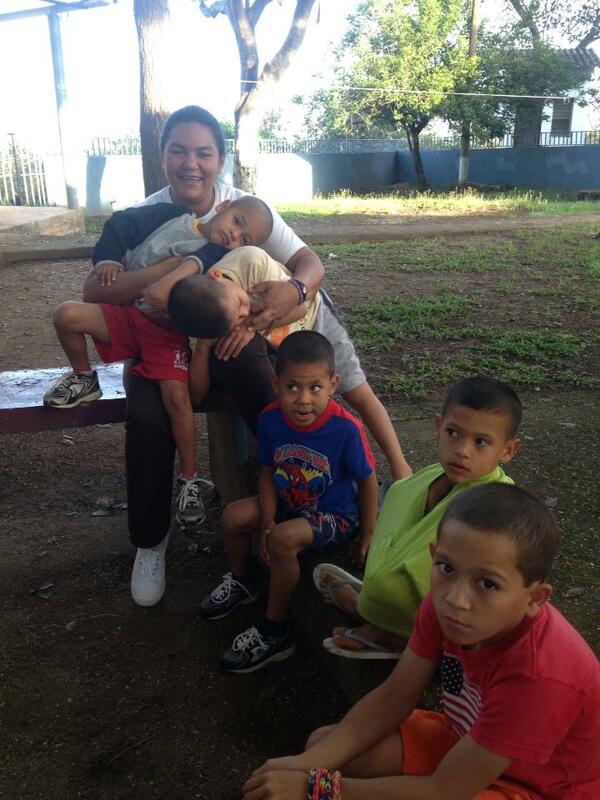 The children at Montaña de Luz have not always had the best of experiences with love. They all know the cruelty of abandonment. Many have suffered tremendous abuse and crippling trauma. All of them to varying degrees lack the beautiful and enriching sense of belonging to a family. They live in a place by a means that reminds them that they are essentially different. This is the foreign element that seeks to limit the beauty of who they are. This absence that they have known is a deceiver. It seeks to replicate life. It would ask them to live as if their lives were not that important, and as if they could live their lives without the need for love. It is as much of a disease, as much of an insidious disease, as HIV. Similar to the ARVs that we give them, much of what we have done and continue to do at Montaña de Luz, is to control the advance of this disease. This is important, even vital, because without it, the injury of abandonment would have already destroyed all hope for life and growth. But just as there is no cure for their HIV status, there is also no means to rewrite their histories. Their experience of being abandoned, their experience of being abused, the deception of what it means to have not been loved, cannot be cured. What we can do is to love them, and we do. This is neither the answer nor the end. But it is our first and best response, and the beginning of their hope. Because love is not selfish, our love invites them to find new relationships of love. This will be their only means to find reconciliation and transformation. It is the only means to effectively confront the deception of abandonment. It will embrace the abject horror of rejection, dissipate its power and control, and yield the growth to beauty. This work of love is not an easy one. It cuts deep into who we are. It forces us to go places we prefer to avoid. It challenges us at our core. It is frustrating in its deliberateness. It takes a lifetime. In fact, it is life. My body is working to recognize the foreign bacteria that have so deceived me as to fill my chest with heaviness and swell the sinus cavities in my head. Soon, however, I will find relief as my body is a miraculous, resilient organism. So too, love will renew.